It has come across our attention at ValleyFair Dental Clinic that many aging patients are concerned about losing teeth as they grow older. 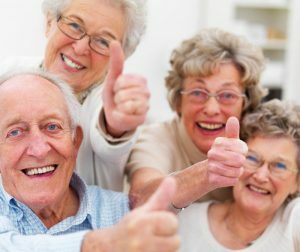 The truth of the matter is that there is no reason for senior citizens to lose their teeth other than because of oral disease. However, a natural smile that lasts a lifetime is only possible with proper oral health care – which typically requires an annual visit to the team at ValleyFair Dental Clinic. We have found that seniors take longer breaks from visiting the dentist,says Dr. Khozema Chherawala, it seems as if they stop caring because they don’t think their oral hygiene matters anymore. Keep your smile healthy and complete with proper oral care! Take some time to contact us at ValleyFair Dental Clinic for a check-up and cleaning today.